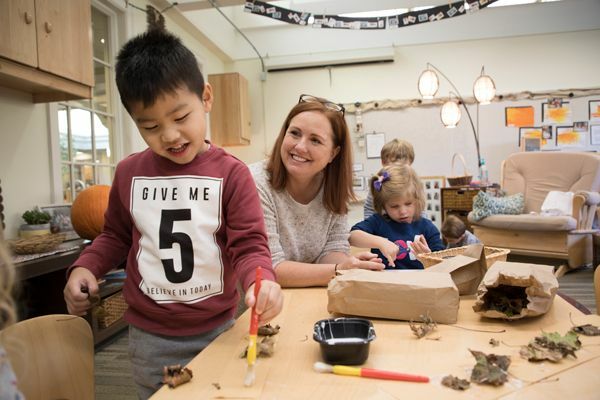 Hawken School, an independent, college preparatory school of 1,400 students, toddler through grade 12, seeks a Director of Facilities and Transportation to support this vibrant institution during an exciting time in its history. With three campuses, an Innovation Lab and FabLab, a learning extension center at University Circle, and plans for potential expansion in the future, this is an opportunity for a highly experienced individual to work with a leading independent school as it continues to expand both its offerings and facilities. Hawken is currently one of the largest independent schools in Ohio. Reporting to the chief financial officer, the director of facilities & transportation manages school plant, safety and transportation services with a $2.9M budget. Oversight includes over 520,000 square foot in buildings, 11 rental (housing) properties, and a fleet of school vehicles including 13 buses. A team of 6 on-site supervisors report to the director while leading the work of 27 custodial and maintenance team members and a transportation crew of 13. The director is the instrumental construction project manager who works closely with architects and outside contractors. The following describes the current structure of the role. The new Director will be encouraged to assess the role and make recommendations for restructuring, with the knowledge that Hawken has experienced significant growth in the past several years. Create and manage annual operating budget and capital renewal budget for facilities department in conjunction with CFO and with advice of the Building and Grounds Committee. Actively control and plan for current and future facilities expenditures. Organize, schedule, and supervise all repair and construction projects, with sensitivity to school seasonality and operational need. Determine priorities for the replacement, renovation, enhancement, repair, and modification of building facilities; develop and execute plans for preventive maintenance strategies. Lead, mentor, and develop the maintenance and custodial supervisory team and engage directly in the hiring, assessment, and performance-related interactions of the crew. Select 3rd-party maintenance contractors and manage the fulfillment of contract obligations, including quality control of their work. Oversee coordination, scheduling, billing, and management of outside rentals. Oversee maintenance and rental of faculty/staff housing. Responsible for purchasing and inventory of equipment and supplies for maintenance, grounds, security, custodial, and transportation areas. Actively monitor and manage utility usage and cost and evaluate bids for alternative resources. Act as a resource for the Board of Trustees and its sub-committees, providing reports on all areas of the physical plant, bringing technical expertise, advice and experience in building and grounds management, planned maintenance, energy management and maximizing the use of the facilities. Collaborate with school leadership to understand special needs and maintain quality of support to the mission (e.g. academic leaders, food service, athletics, technology, security). Participate with CFO, director of finance and Administrative Council in collaborative efforts. Ensure compliance with local, state, and federal regulatory requirements, including work safety regulations. Oversee inspections of all building systems as needed for compliance (boiler, fire alarms, elevators, etc.). Actively collaborate in or manage safety and emergency operations, including school safety measures, planning and regularly scheduled drills. Work with Safety Committee to evaluate the school’s security program on a continuing basis and recommend changes as needed. Help develop procedures and protocols to deal with emergencies. Interpret and direct the school’s safety program to ensure compliance with all applicable federal, state and local environmental and safety regulations, including OSHA, EPA, etc. Responsible for code compliance programs, including asbestos management; lead in water, soils, paints; air quality; hazardous waste reduction, management, and disposal; radon; and other health related issues. Maintain appropriate training schedule for custodial and maintenance team. Manage construction projects throughout the project cycle, from vendor selection to ongoing schedule and budget adherence to quality control and post-completion corrections. Current projects include: expansion and renovation of Lyndhurst dining room; remapping of Lyndhurst parking and student drop-off/pick-up. Participate constructively in the strategic development and management of the campus (e.g. master plan, zoning compliance, utilities services, energy management). Actively engage with board members and school directors to understand their needs, then advise and collaborate on solutions. Oversee and structure the financial side of student transportation. Plans and coordinates the scheduling and routing of regular bus and special event transportation programs; conducts studies of traffic conditions, pupil load and distribution; makes adjustments as necessary. Plans bus routes and scheduling; assigns drivers to routes and buses; coordinates with administrators regarding changes in school transportation needs. Trains, supervises and evaluates the performance of assigned staff; maintains drivers' time sheets. Arranges for and schedules substitute bus drivers. Communicates with personnel, parents, and the public regarding the student transportation system; provides information, responds to complaints, and resolves issues. Prepares and maintains a variety of records including average daily attendance, bus trip data, driver route assignment, and other related information. Assists bus drivers in maintaining orderly school bus environment. Our top candidates will thrive in a dynamic, collaborative environment where new ideas are the norm. This role is integral to the successful growth of the organization and requires a strategic thinker who can manage complex projects with thoughtful consideration of priorities. Demonstrated ability to communicate confidently, professionally, and with strong leadership is required. Bachelor’s degree required; engineering-focus preferred. 5-plus years of facilities management, including budget and supervisory responsibility. Experience on senior administrative teams; working with non-profit boards is a plus. Demonstrated experience in strategic decision-making and budget management, such as cost analysis, construction project management, energy management, etc. Experience with building code compliance, utilities conservation, and environmental quality testing required. Knowledge of school transportation regulations, routing, and safety is a plus. Proven problem-solver with ability to remain calm under pressure and react quickly and efficiently in emergency situations.